As their country has become the “world’s factory,” hundreds of millions of Chinese people have been lifted out of poverty. At the same time, China has become one of the most polluted places in the entire world. In researching a new book, Siqi Zheng and I traced the rise of China’s urban pollution. We were trying to understand three things: Why has pollution increased so sharply? How has pollution impacted the population? And how is the government responding to the issue? In the end, we documented an encouraging trend. Newfound demand for a clean environment—”blue skies”—from the growing Chinese middle and upper classes creates a compelling incentive for Beijing and local officials to clean up Chinese cities. China’s environmental problems are tied to its rapid industrialization. When Mao Zedong became the leader of China in 1949, he ruled over relatively few cities, and they were not industrialized. Early Communist Party leaders located factories near the Soviet Union, China’s main trading partner at that time, and didn’t prioritize environmental protection. 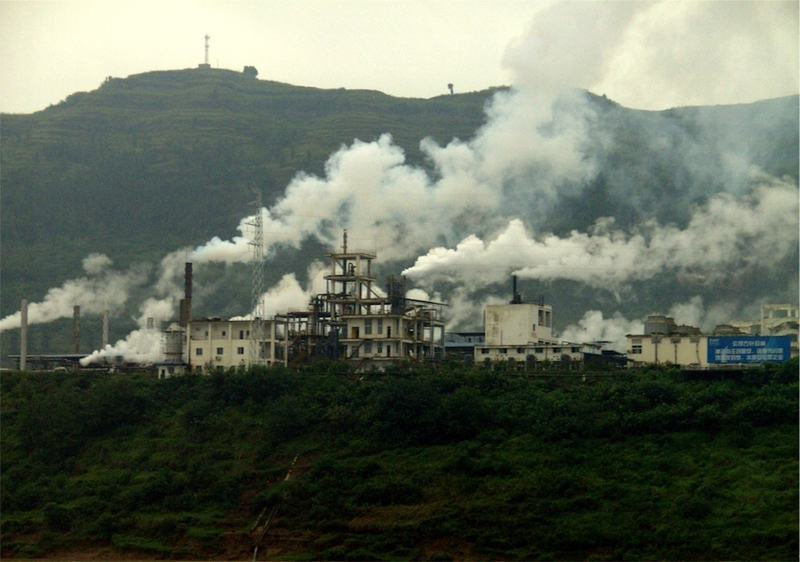 Pollution in the country began to worsen in the 1980s, when then-leader Deng Xiaoping launched a new economic development strategy focused on industrialization and increasing exports. Due to the country’s low wages, subsidized energy prices, and weak enforcement of environmental regulations, China soon became the world’s factory. Everything, it seemed, carried a “Made in China” label. Due to the country’s low wages, subsidized energy prices, and weak enforcement of environmental regulations, China soon became the world’s factory. Everything, it seemed, carried a “Made in China” label. But Chinese cities soon began to suffer from the effects of the black smoke produced by expanding heavy industry and from burning coal to generate power and wintertime heat. Between 1980 and 2012, China’s annual consumption of coal increased from 679 to 3,887 million tons. Today, China is the world’s largest producer of greenhouse gas emissions. Based on 2011 data, China produced 28 percent of the world’s carbon dioxide emissions while the United States produced 16 percent of total emissions. These emissions sharply increase the risk of climate change and greatly decrease quality of life. According to World Bank data from 2013, China’s citizens are exposed to roughly five times the levels of particulate matter as people in the United States. This pollution comes from burning coal as well as a sharp rise in the consumption of high-sulfur gasoline, which fuels the growing number of private vehicles on China’s roads. Chinese people are noticing the change. Over the last 30 years, China’s economy grew at a rate of 10 percent per year, slashing the share of its population living below the poverty line from 84 percent to 13 percent. Over the same period of time, improvements in medical care and diet have lengthened life expectancy at birth from 66 to 73 years. But despite such progress, Chinese urbanites must reckon with the reality that the nation’s standard of living is not improving as quickly as its economy is growing. In surveys, many report lower life satisfaction than economists typically predict for a rapidly growing economy. The central government is listening. Since the early 2000s, it has increasingly emphasized sustainable growth and has focused on reducing pollution and mitigating the risk of climate change. On one level, this shift is a surprise: Why would China engage in regulation that could kill the golden goose of industry, raising the cost of production and threatening the nation’s edge as an exporter of manufactured goods? But basic economics provides an explanation. Wealthier people are willing to pay more to avoid risk. They demand safer products, safer food, safer housing, and a cleaner environment. So as a growing middle and upper class demands its blue skies, a central government that seeks to preserve its power and credibility has strong incentives to stop polluting. It also has a better chance of convincing local officials to devote more attention to environmental challenges. In recent years, Beijing has been changing the performance evaluation and promotion criteria for local officials. Instead of rewarding them purely for output, China now includes environmental goals in performance metrics. Mayors, especially in richer and better-educated cities, also face pressure from the public. With the relaxation of the nation’s domestic passport system and the liberalization of the labor and land markets, Chinese urbanites are able to vote with their feet and move to cleaner cities. Just as in the United States, where homes in nicer areas sell at a premium, apartments in Chinese cities and neighborhoods with better air also fetch higher prices. 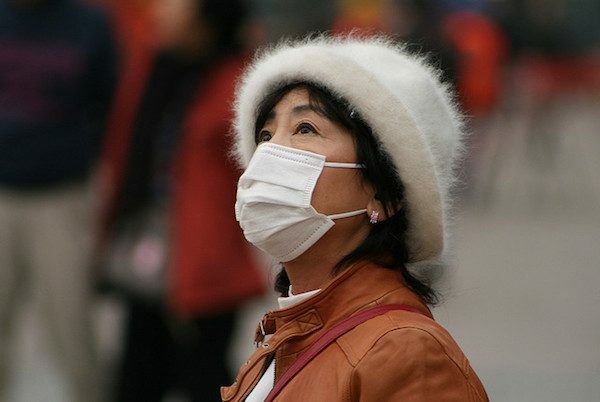 Chinese urbanites wear air pollution masks when pollution is elevated. China’s cities track this variation in home prices and have also used more novel sources of information to study the demand for a better environment. In recent years, the rise of the Internet and social media, coupled with new technology such as cheap air pollution monitors, has increased public awareness of local pollution challenges. Many people use Weibo, China’s equivalent to Twitter, to express concerns about pollution. We have documented that Chinese urbanites purchase more air filters and air pollution masks when pollution is elevated. This shows that people are aware of pollution levels and are willing to take costly actions to protect themselves. The wealthy are the most likely to take such precautions, which suggests that quality of life disparities will worsen unless pollution is improved. Several promising trends in China’s rich coastal cities suggest that significant environmental progress is likely to take place. Manufacturing is land intensive, so as urban rents rise, industrial activity is leaving the major cities and taking pollution with it. In addition, second- and third- tier inland cities can offer lower electricity prices to manufacturers, making them increasingly attractive destinations for labor and energy intensive industries. Happily, “dirty factories” do not simply migrate from one city to another. The new factories opening up in China’s western cities are more likely to feature clean, modern engineering technology. China is also making a major strategic investment in the green economy. Since 2007 it has been the world’s largest producer of the photovoltaic cells that produce solar energy; in 2014, exports totaled $14 billion. China’s domestic market for renewable energy is also huge, as the country aims to increase its non-fossil fuel energy capacity to 15 percent of total primary energy consumption. Research and development in renewables is expanding, with the help of engineering professors from top institutions such as Tsinghua University and the Chinese Academy of Science. China’s post-industrial economic growth will depend on the health, well-being, and happiness of its people—who increasingly clamor for a better environment. It is no accident that so many Chinese people enjoy visiting San Francisco and Los Angeles—high-amenity cities that attract and retain the skilled. Leadership in Beijing has a great incentive to build similar urban centers that could accelerate China’s transition to the knowledge economy. Matthew E. Kahn, a professor of economics at the University of Southern California, is coauthor of Blue Skies Over Beijing: Economic Growth and the Environment in China (Princeton University Press 2016). The first chapter is available here. He blogs about environmental and urban issues at greeneconomics.blogspot.com. Primary Editor: Jessica Suerth. Secondary Editor: Eryn Brown. *Lead photo courtesy of High Contrast/Wikimedia Commons. Interior photo courtesy of Nicolò Lazzati/Flickr.